Ham is practically a staple in our house as bot of my older kids just LOVE it! 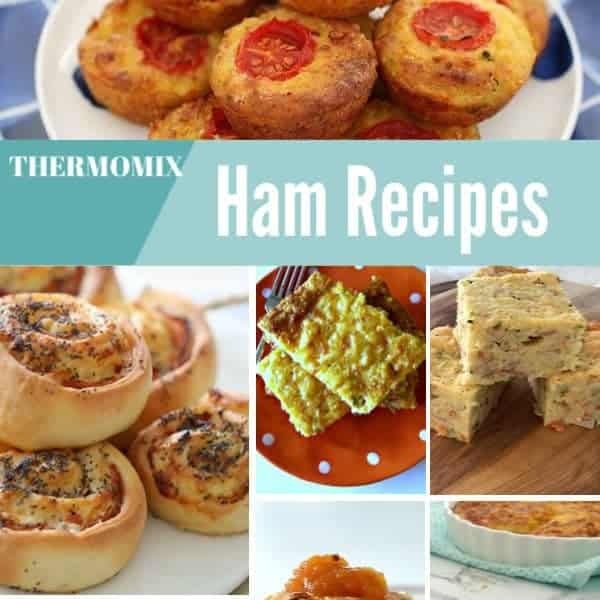 At the end of each week I like to use up the leftover ham and turn it into a meal the entire family can enjoy so today I decided to share this collection of Thermomix Ham Recipes! Our Thermomix Ham and Vegetable Slice is PERFECT for using up leftover ham and vegetables. 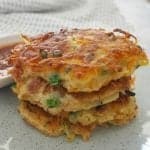 These Thermomix Ham Cheese and Zucchini Pikelets make a great savoury snack or meal. 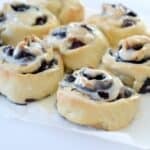 You can’t go wrong with these Ham, Cheese and Mayo Scrolls! 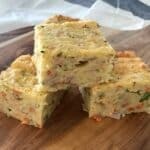 Our Mini Ham and Vegetable Quiches taste great and they are freezer friendly. We love this Thermomix Crustless Cheesy Ham and Vegetable Pie from The Annoyed Thyroid. These Thermomix Ham, Cheese and Tomato Muffins are a favourite with my kids. Ok, it’s not a Thermomix recipe, but this Ham, Cheese and Corn Impossible Pie is SUPER simple to make and perfect for using leftover ham. So there you have it, a few of our favourite Thermomix Ham Recipes to help use up all of the leftover ham. You can find more great Thermomix dinner ideas in our ‘Month of Thermomix Dinners‘ eBook and you can shop all of our products, eBooks and printed books here.